Emkay Research is expecting IPCA Lab and maintained buy rating on stock with a target of Rs 820. IPCA Laboratories net profit increased to Rs 347.2 million in Q1FY08, by 42%, compared with Rs243.4mn in Q1FY07. Revenues grow by 11% to Rs.2466.1 million. Sequential Q-o-Q basis revenues and PAT increase by 12% and 26%. Research firm Khandwala Securities has recommended collected rating on Satyam Computer Services. • Revenue was Rs 18, 302 million, YoY increase of 26.8% and a sequential increase of 2.9%. • Net Profit after Tax was Rs 3,783 million, YoY growth of 6.9% and a sequential fall of 3.9%. • EPS was Rs 5.7, a YoY increase of 4.4% and a sequential fall of 3.9%. 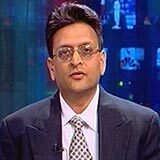 Jindal Stainless climbed up 4.71% to Rs 162.25 on reporting 62.6% increase in net profit in Q1 June 2007. The company declared the Q1 results in market hours yesterday, 23 July 2007, when the stock benefited 2.07% up at Rs 154.95. It was an incredible closing for the stock markets yesterday regardless of some feeble international signals. The Sensex and Nifty closed on a new record high, each up 1%. 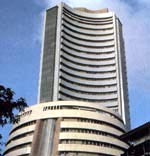 Sensex closed above the 15,700 mark, while the Nifty closed the day above 4,600. Amit Dalal of Amit Nalin Securities thinks that 16,000 for the stock markets seem very likely. Even Ram Kolluri, President and CIO, at Global Investment Management feel that the global momentum will spread out into the Indian markets too. Gangtok: Shyam Saran, special representative of Prime Minister, Manmohan Singh stated that Sikkim can play a key role in cross-border energy trading with bordering countries including Nepal, Bhutan and Bangladesh by harnessing its hydel power prospective to the full. Broking house , P-Sec is bearish on ACC and has recommended sell rating on the stock with a target of Rs 816. ACC reported 19% yoy increase in operating profits. PBIT before exceptional was higher due interest income. Higher tax rate is due to adjustment is a one off and tax rate is also expected to settle down to 27%. Stock trades at PE 16x CY08E and EV/EBITDA of 9.7x CY08E that makes it an expensive scrip. Oil prices dangled on Monday (July 23) as exports to Angolan oil facility commenced once more and on expectancy that US gasoline demand will decrease in place with the end of peak summer demand. On the New York Mercantile Exchange (NYMEX), light, sweet crude for next month delivery slipped 38 cents, at USD 75.41 per barrel. On the other hand, gasoline rates came down 2.06 cents to USD 2.1440 per gallon on NYMEX. Oil price slid further. The next month Brent crude delivery dipped 18 cents to USD 77.46 a barrel on the ICE Futures exchange in London. NYMEX heating oil futures vanished 0.22 cents to USD 2.0922 per gallon, whereas natural gas rates fell 27.6 cents, to settle at USD 6.170 per 1,000 cubic feet. The 30-share index opened at 15,802.19 and is presently trading sturdily. It also touched its all-time high of 15,828.98. The stocks from telecom, auto, IT and banking led the advancements. Asian markets gained in the early trading session on suppositions that the companies will declare better than expected earnings. Investor’s sureness and the market assumption took the regional benchmark to an all-time high. Rahul Agarwal, VP, institutional sales, LKP Shares stated that market is likely to remain optimistic on Tuesday also. He is bullish on Reliance Group and UB Group companies. He also said that some fresh buying can be seen in banking as well as telecom sector. 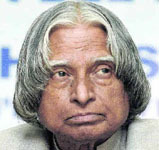 New Delhi: On his last day in office as the Head of State, President Abdul Kalam will lecture to the country today. An official release stated that Kalam’s speech would be broadcast on all Doordarshan channels from 7 p.m. to 8 p.m.
All India Radio (AIR) will broadcast his lecture from 7.30 p.m onwards on all its English channels that will be followed by translation in Hindi. Researchers have proved that soft drink, diet drinks and regular drinks can affect your heart and cause diabetes. After opening on a strong note at 15,560.57, the 30-share index is trading in the positive territory. Select stocks from engineering led the advancements, whereas IT and auto stocks turned down. Asian markets slumped in the early trading session as Caterpillar, the world`s biggest maker of heavy-duty diesel-truck engines declared a diminution in its earning that brought up worry among investors about US economy. In the opening times, there were 1, 056 progressions as against 784 declinations on the BSE. and the confusedness persisting over the move of college teachers. Dr. Ramadoss stated the Department of Higher Education had preserved six key positions in the Directorate of Collegiate Education unfilled for the last several months. Various teaching positions in colleges were not made known when teachers opted for transfer that led to protestations, including road roko in Madurai. On securing a Rs 1,829-crore order today, Bharat Heavy Electricals galloped about 8.61% to Rs 1,790. Nearly 3.06 lakh shares had traded on the BSE counter. In intra-day trade today, the Bharat Heavy Electricals (Bhel) stock also struck an record high of Rs 1,798 after it secured a Rs 1,829-crore order for fabricating and establishing three 500-MW thermal power units in Haryana. Cipla dipped 4.4% to Rs 192 after declaring a 30% fall in net earnings for the first quarter ended June 30, 2007. The stock hit an intraday low of Rs 191.70 and an intraday high of Rs 199.85 during the day. The scrip turned down on high volume of 21.1 lakh shares on the BSE counter. The company recorded a 30% fall in its net profit to Rs 120 crore in Q1 June 2007 as against in the corresponding period (Q1 June 2006) of the last year. New Delhi: UPA-left applicant Hamid Ansari has filed his papers for the Vice Presidential elections. The first applicant to file the nomination was Rasheed Masood, sitting Samajwadi Party MP from Uttar Pradesh on July 20. He has been fielded by the multi-party United National Progressive Alliance (UNPA). The elections are to be held on August 20. 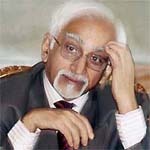 Ansari has wealth of knowledge as a famous diplomatist, educational and a writer in a career spanning over four decades. He has carved out a distinguishable position for himself as a diplomat, academician and a writer specializing in international issues. Union Bank of India advanced 4% to Rs 155.15 in afternoon trading after declaring a 35% increase in net profit in Q1 June 2007. The results were declared during trading hours today, 23 July 2007. In BSE’s ‘A’ group shares, it was placed on the ninth position. Jerusalem: Israel’s recently appointed President Shimon Peres has complimented freshly elected Indian President Pratibha Patil on her victory. Peres also stated his country’s desire to fortify bilateral ties with New Delhi. 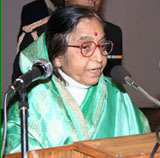 Peres phoned Ms. Patil last afternoon to congratulate her on becoming the first woman Indian President. with analysts to find the next levels for the Indian Markets. 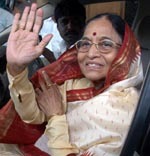 New Delhi: UPA-Left candidate Pratibha Patil won the presidential election to be India's first woman president. Ms. Patil, who will be sworn-in as president on July 25 won by three lakh margin overcoming NDA-backed independent applicant Bhairon Singh Shekhawat. “This is the victory of the principles which our Indian people uphold,” she said. In the final counting, Ms. Patil got 6,38,116 total votes whereas Shekhawat secured 3,31,306 in an electoral college of 10.98 lakh.